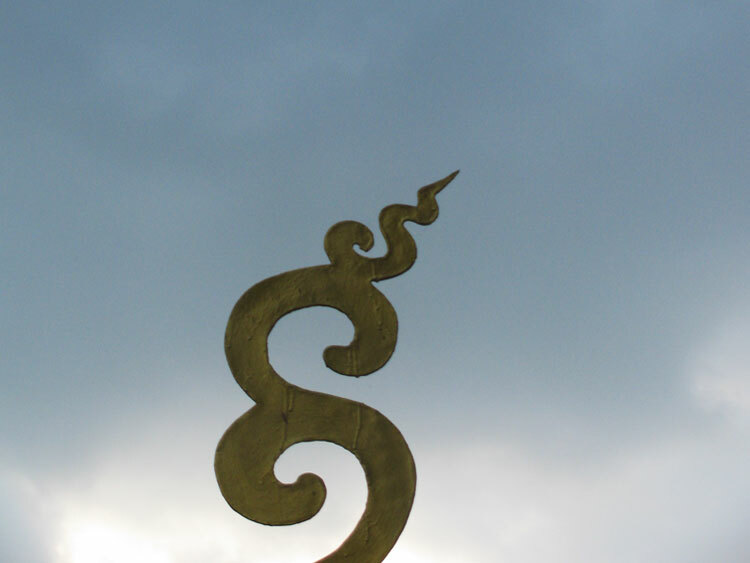 Detail from the temple top. 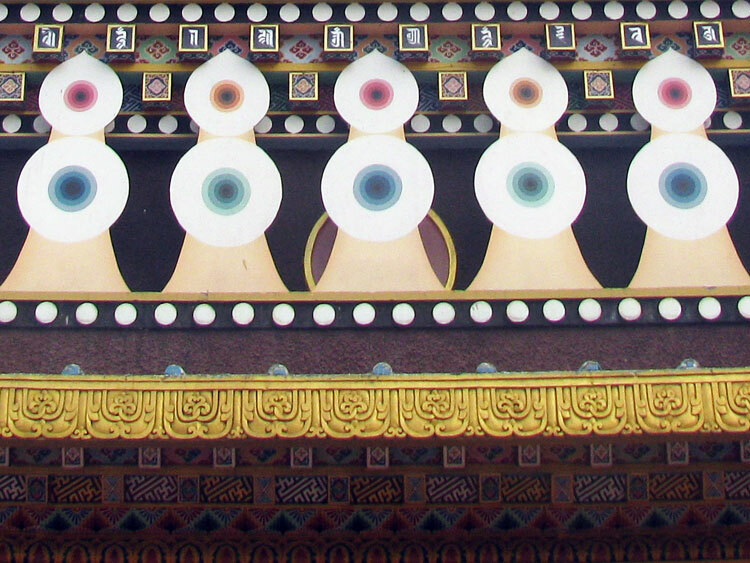 Details of patterns that are painted on the outer walls of the temple. 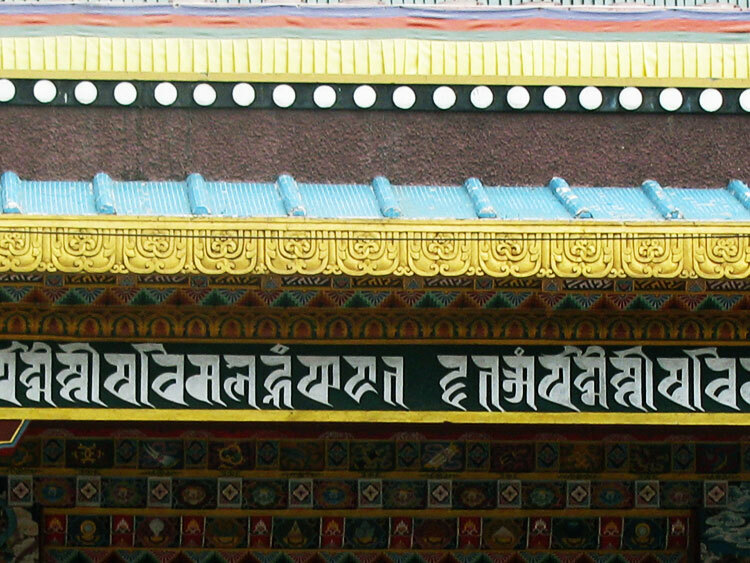 Details from the top of the entrance to the temple. 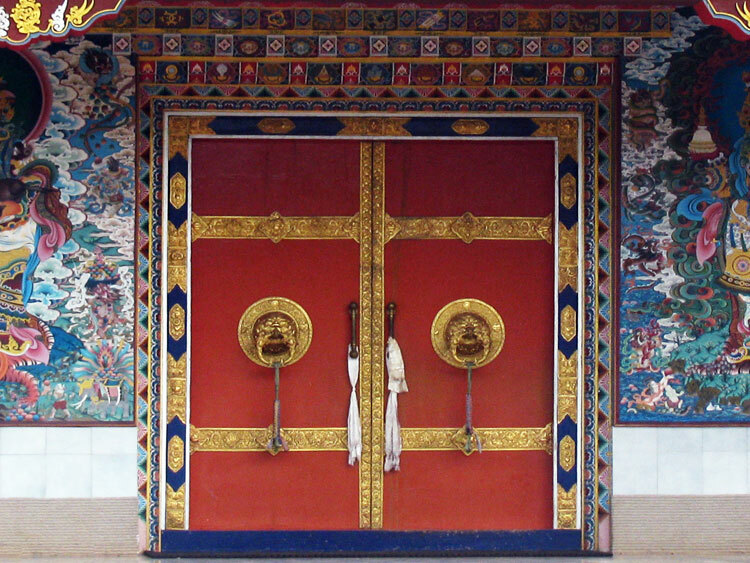 Details from one of the doors to the temple. 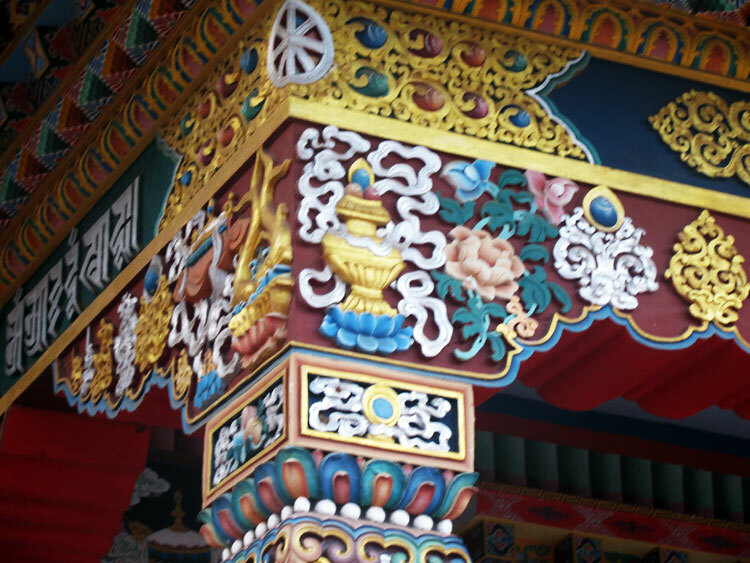 Patterns adorning one of the wooden pillars supporting the temple. Details of painted patterns on the pillar and the supporting beams. Corner top of the temple. Front top of the temple. Side top of the temple. 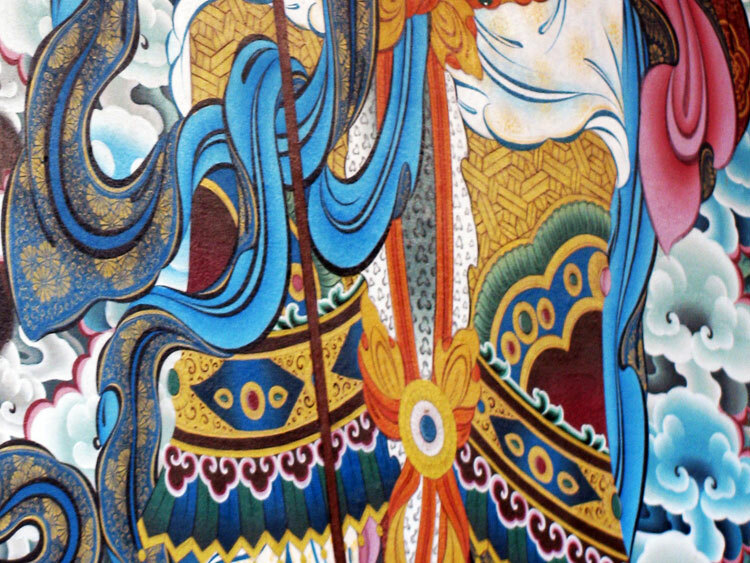 Details from one of the paintings on the wall. 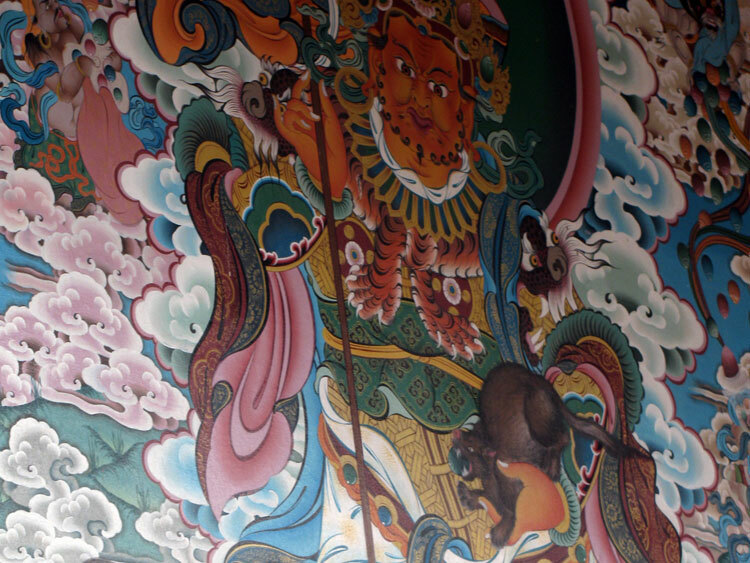 Some more details from one of the paintings on the wall. 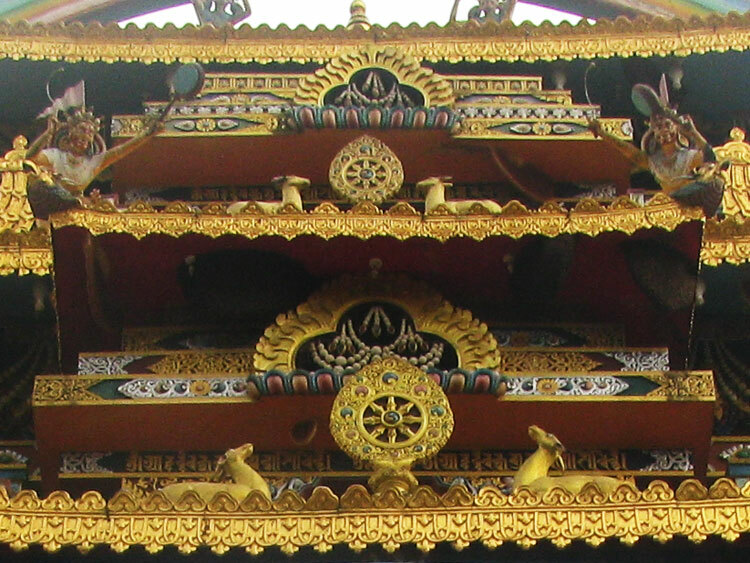 These are details from the outside of the Namrodoling Monastery, Golden Temple in Coorg district, Karnataka. 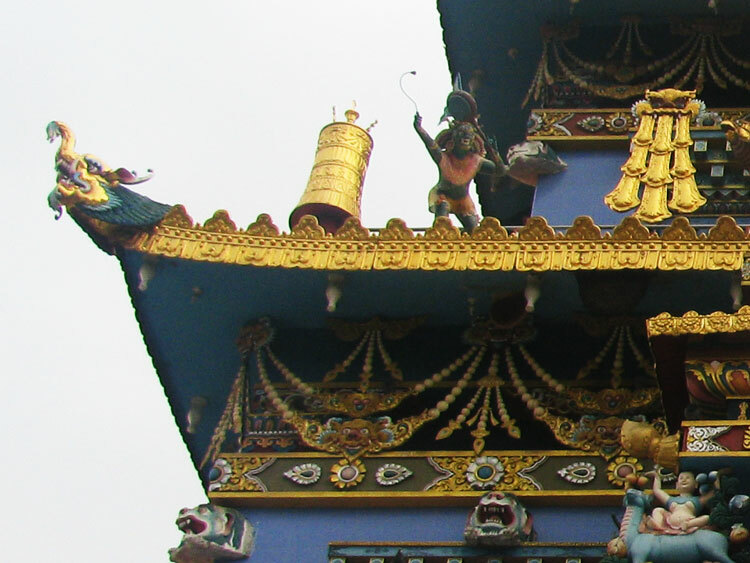 The temple based on Buddhist traditions has been built by Tibetians who settled in Coorg in the year 1960. 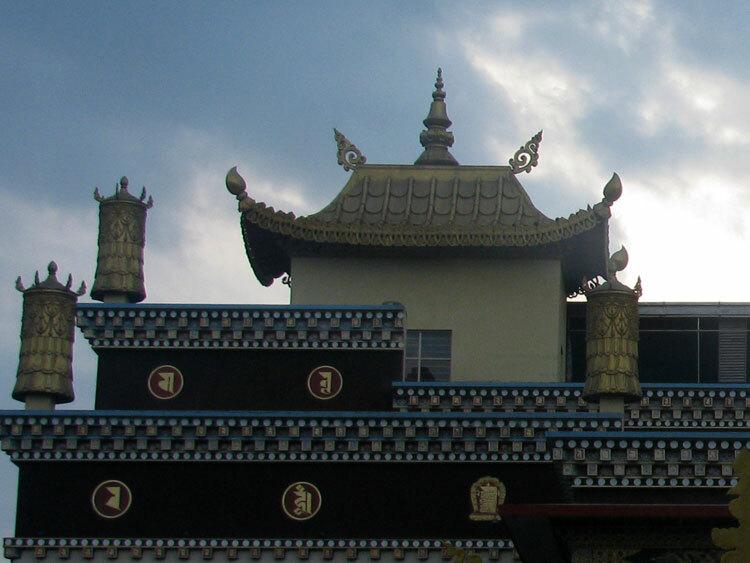 The temple house the statues of Padmasambhava, Buddha and Amitayus with each of them over 50 ft in height. 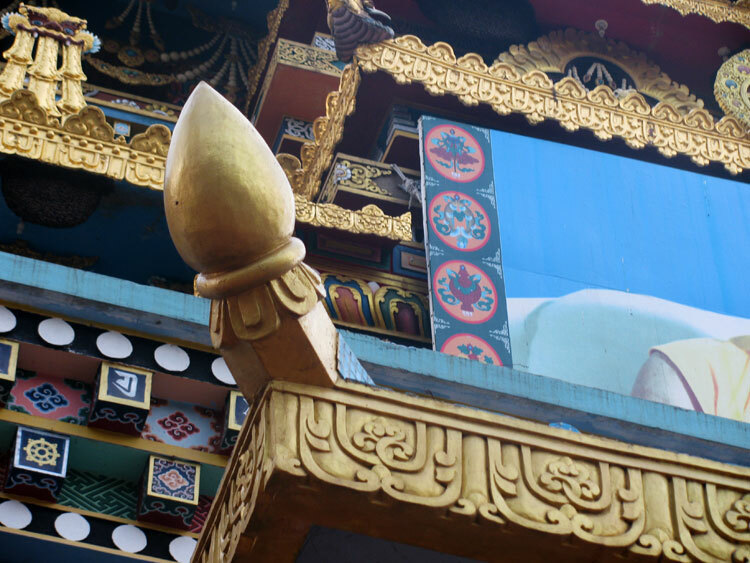 The walls of the golden temple is adorned with paintings related to Buddha’s life and history. 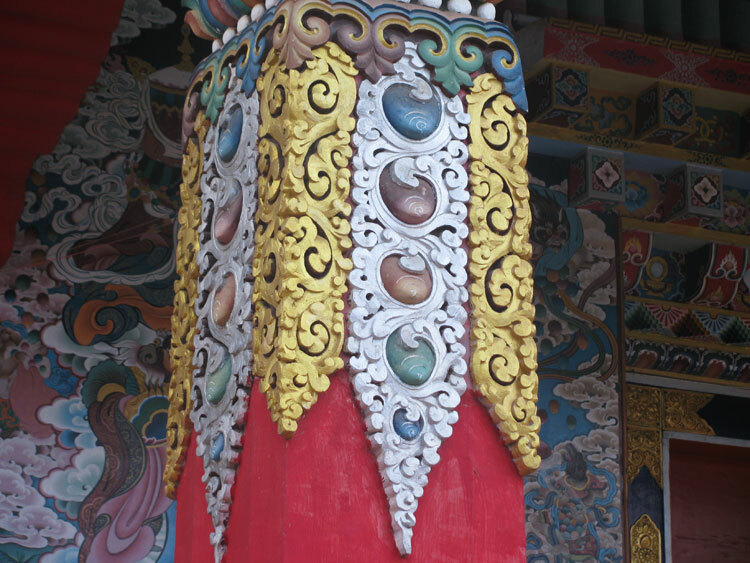 The outer walls and pillars are carved with motifs and painted in golden colours.